Peter went on to explain that Jesus had been raised and had poured out the Spirit in fulfillment of God’s promise through Joel (2:32-33). When the crowd asked what they should do, Peter urged them to turn their lives around and be baptized in the name of Jesus. Then they would be forgiven and would receive the gift of the Holy Spirit (2:37-39). Acts reports that about 3,000 people were added to the church that day (2:41). Not a bad response to Peter’s first sermon! There is no simple, one-size-fits-all answer to this question, because Pentecost knits together several themes, emphases, and experiences. 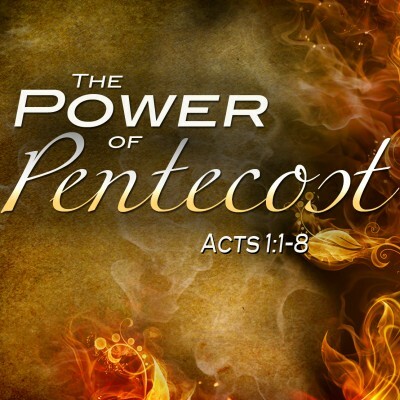 I will suggest four possible ways that Pentecost matters today. Christians are meant to live in the presence and power of the Spirit of God. · The Holy Spirit helps us to confess Jesus as Lord (1 Cor 12:3) Therefore I want you to know that no one who is speaking by the Spirit of God says, “Jesus be cursed,” and no one can say, “Jesus is Lord,”) except by the Holy Spirit. 1 John 4:1 -3 says Dear friends, do not believe every spirit) but test the spirits to see whether they are from God, because many false prophets have gone out into the world) 2 This is how you can recognize the Spirit of God: Every spirit that acknowledges that Jesus Christ has come in the flesh) is from God, 3 but every spirit that does not acknowledge Jesus is not from God. This is the spirit of the antichrist,) which you have heard is coming and even now is already in the world. · (Gal 5:22-23). 22 But the fruit of the Spirit is love, joy, peace, forbearance, kindness, goodness, faithfulness, 23 gentleness and self-control. (Against such things there is no law. · Gal 5:24,25) Tells says the Spirit is helping us to live like Jesus…. 24 Those who belong to Christ Jesus have crucified the flesh with its passions and desires.) 25 Since we live by the Spirit, let us keep in step with the Spirit. 26 Let us not become conceited, provoking and envying each other. Personal Implications: Pentecost presents us with an opportunity to consider how we are living each day. Are we relying on the power of God’s Spirit? Are we an open channel for the Spirit’s gifts? Are we attentive to the guidance of the Holy Spirit? Is the fruit of the Spirit (love, joy, peace, etc.) growing in our lives? Most Christians I know, including me, live in the presence and power of the Spirit, but only to an extent. We are limited by our fear, our sin, and our low expectations, not to mention our tendency to be distracted from God’s work in us. Pentecost offers a chance to confess our failure to live by the Spirit and to ask the Lord to fill us afresh with his power. On Pentecost, the Holy Spirit descended on individual followers of Jesus as they were gathered together in Jerusalem. This gathering became the first Christian church. New believers in Jesus were baptized as they joined this church. They, along with the first followers of Jesus, shared life together, focusing on teaching, fellowship, breaking of bread, and prayer. They shared their belongings so that no one was hungry or needy. As these first Christians lived out their new faith together, “the Lord added to their number those who were being saved” (Acts 2:47). So, we speak of Pentecost as the birthday of the church. In theory, the Spirit could have been poured out on the followers of Jesus when they were not gathered together. There are surely times when the Holy Spirit touches an individual who is alone in prayer, worship, or ministry to others. But the fact that the Spirit was given to a gathering of believers is not incidental. It underscores the centrality of the church in God’s work in the world. The actions of the earliest Christians put all of this in boldface. The Holy Spirit is not only given to individuals, but also, in a sense to the gathered people of God.In 1 Corinthians 3, the Apostle Paul observes that the church is God’s temple and that the Spirit dwells in the midst of the church (3:16-17; in 1 Cor 6:19-20 we find a complementary emphasis on the dwelling of the Spirit in individual Christians). Personal Implications: Many Christians, especially those of us who have been influenced by the individualism of American culture, live as if the church is useful but unnecessary. Those people seem to believe that as long as we have a personal relationship with God, everything else is secondary. But Pentecost is a vivid illustration of the truth that is found throughout Scripture: the community of God’s people is central to God’s work in the world. Pentecost invites us to consider our own participation in the fellowship, worship, and mission of the church. It is a time to renew our commitment to live as an essential member of the body of Christ, using our gifts to build the church and share the love and freedom of those who are believers of Christ with the world. Pentecost challenges all of us to examine our own attitudes in the regard, to reject and repent of any prejudice that lurks within us, and to open our hearts to all people, even and especially those who do not share our language and culture. Yes, I know this is not easy. But it is central to our calling. And it is something that the Spirit of God will help us to do if we are available. This was an awesome event. For the first time in history, God began to do what he had promised through Joel, empowering all different sorts of people for ministry. Whereas in the era of the Old Testament, the Spirit was poured out almost exclusively on prophets, priests, and kings, in the age of the New Testament, the Spirit would be given to “all people.” All would be empowered to minister regardless of their gender, age, or social position. Although this truth would not mean that every Christian would be gifted for every kind of ministry, it did imply that all believers would be empowered by the Spirit. The church of Jesus Christ would be a place where every single person matters, where every member contributes to the health and mission of the church (see Eph 4:11-16). 11 So Christ himself gave the apostles, the prophets, the evangelists,) the pastors and teachers, 12 to equip his people for works of service, so that the body of Christ may be built up 13 until we all reach unity in the faith and in the knowledge of the Son of God and become mature, attaining to the whole measure of the fullness of Christ.